Deutsche Telekom Stiftung was established in 2003 to strengthen Germany’s position as an education, research and technology leader. It is one of the country’s main corporate foundations with an endowment of EUR 150 million. 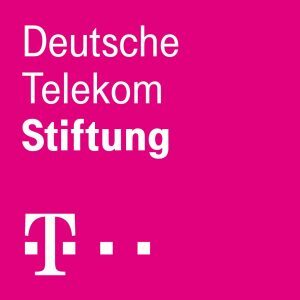 Deutsche Telekom Stiftung’s mission is to improve education in the digital world concentrationg on the so called STEM subjects science, technology, engineering and mathematics. To make the foundation’s projects as effective as possible, acknowledged experts in the fields of practical education and academic research are involved right from the word go. Since 2016, Deutsche Telekom Stiftung has been reaching out beyond Germany’s borders and promoting educational excellence in STEM in other countries. The foundation and its experienced project partners employ methods and approaches that the foundation has pioneered and tested and that show tremendous potential for widespread adoption and cross-fertilization. The foundation’s ultimate goal is not just to develop innovative flagship programs, after all, but also to ensure they have the broadest possible impact.